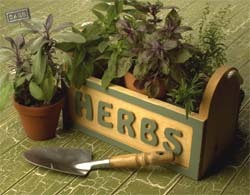 We stock a unique line of herbal products and gifts. Join us for a complimentary cup of herbal tea and browse through our unique retail space. Here you will find dried herbs, books, essential oils, prepared teas & tea accessories, beautiful scented soaps, lotions, seeds and unusual ceramic and metal pots for your fresh herbs. Our staff will be happy to assist you in finding beautiful and unusual gifts for all your special occasions. Richters friendly retail staff are always eager to help, show, and share knowledge on the hundreds of varieties of herbs available*. *When shopping in person at our store please note that some plants are seasonal and are not in stock year round. If you want to confirm that the plants you are looking for are currently available please call the store at 905-640-6677 ext. 240.